COST - Council On State Taxation genuinely caters to the multistate tax needs of its member companies. Providing cutting edge educational programs and publications, acting as a clearing house for SALT resources, taking amicus positions on important SALT court cases and otherwise lobbying and weighing in on leading SALT legislation." "COST provides a platform to exchange ideas, form coalitions on critical issues that shape tax policy, and to connect with policy makers both in the private and public sector across the country." "The most influential nongovernmental organization in the state tax policy arena." "COST offers high quality education opportunities, featuring the hottest topics, delivered by the nations most recognized experts." "The environment COST fosters facilitates networking and makes it easier to connect with folks at other companies and establish career-long relationships." 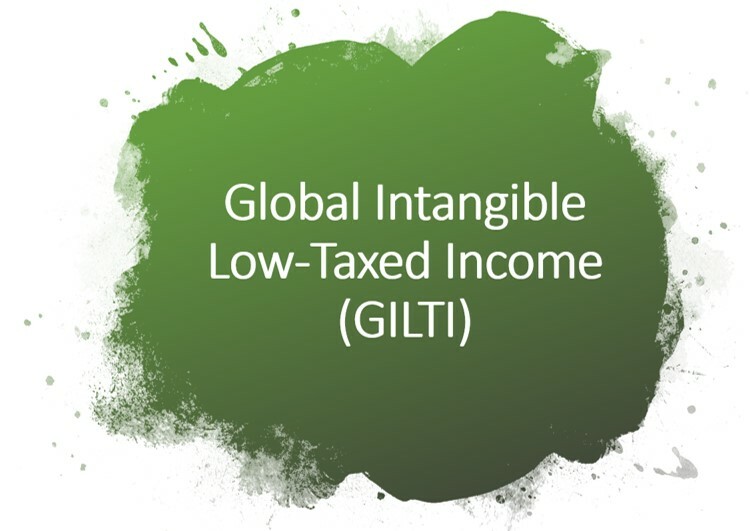 The state taxation of global intangible low-taxed income (GILTI) is fundamentally different from the federal taxation of GILTI. This article recommends that states decouple from GILTI, and that all separate reporting states that conform to GILTI and combined reporting states that conform to GILTI without factor representation recognize the constitutional infirmity of GILTI inclusion in the state tax base. The Council On State Taxation (COST) and the State Tax Research Institute (STRI) are pleased to announce the release of the sixteenth annual study of state and local business taxes. 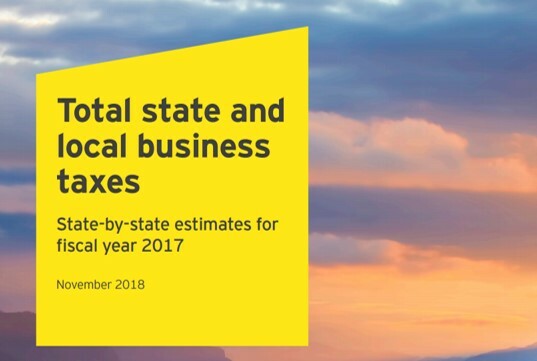 The report, prepared by Ernst & Young LLP, shows all state and local business taxes paid in each of the 50 states and the District of Columbia. Businesses paid more than $738.4 billion in state and local taxes in FY2017, an increase of 2% from FY2016. In this article, COST's Doug Lindholm and Karl Frieden argue that the Wayfair decision will not impact the overall complexity and inefficiency in state sales and use tax systems, and that true efficiencies and equities will only occur when the states and the business community recognize their mutual self interest in modernizing sales and use tax administration. 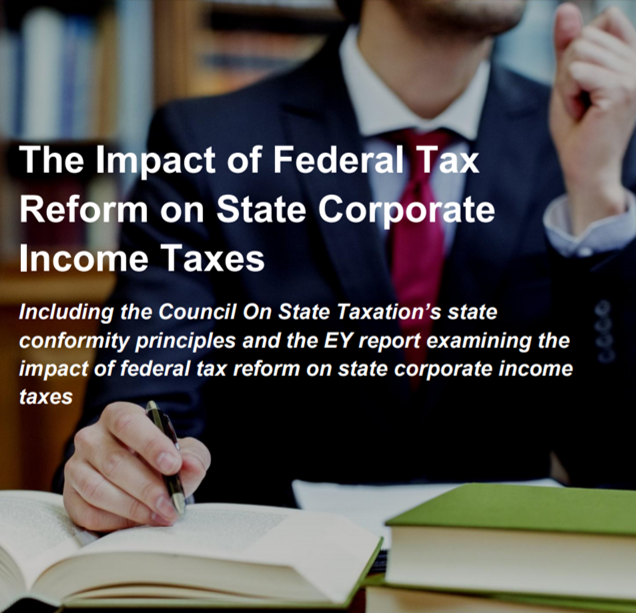 COST and STRI have commissioned a study by EY to assess the impact of the corporate tax provisions of the federal tax reform on state corporate income taxes. The overall conclusion of the study is that conformity with federal tax reform will result in an estimated state corporate tax base increase averaging 12% for the first 10 years. 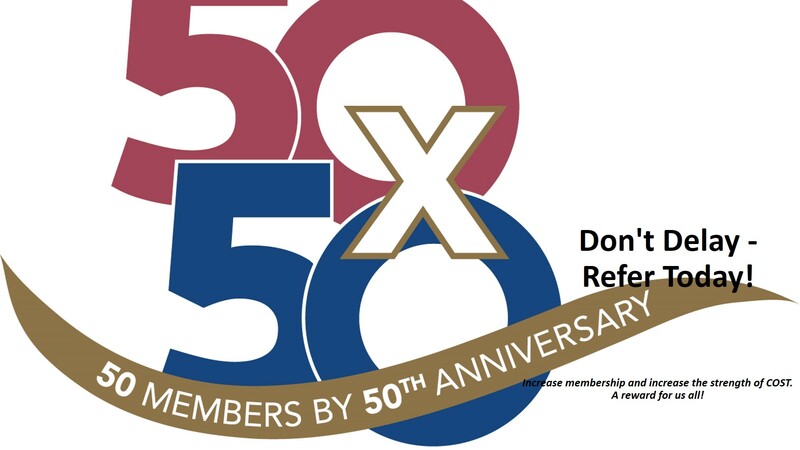 2 ½ day conference which combines technical and policy presentations from seasoned professionals focused on current income and franchise tax issues. It is COST’s primary audit session, where current audit information on all 50 states is shared among the membership. The conference is targeted to income and franchise tax professionals at all levels of experience. The NFL’s Carolina Panthers think county assessors are way off in their valuation of its stadium in Charlotte, N.C. Sales of recreational and medical marijuana generated about $266.5 million in tax, license, and fee revenue in Colorado in 2018, with the state now approaching $1 billion in revenue since legal recreational pot sales began in 2014. Michigan and Missouri are the latest states that will collect tax on marijuana sales, but legalization may not be a sure-fire path to revenue. The casino industry is cheering the second professional sports data deal signed by MGM Resorts International as proof that states shouldn’t force casinos to pay “integrity fees” or buy league data as sports betting legislation sweeps across the country. The winner of last night’s Mega Millions jackpot just became an instant billionaire. Well, before taxes. California’s tax department is leaning toward following South Dakota’s law in a forthcoming notice directing online retailers to begin collecting and remitting sales tax on out-of-state sales as soon as next year. Heavy pressure from the Ohio Attorney General enforcing a unique state tax law kept a Major League Soccer team from moving to Austin, Texas, despite the owner’s wishes. Membership in an agreement designed to make it easier for companies to remit sales and use taxes to other states should be a pre-condition of states’ ability to require the collection of such taxes, representatives of the e-commerce industry said. A Multistate Tax Commission work group examining state marketplace facilitator laws in the wake of the groundbreaking Wayfair decision homed in on a difficult conflict in such laws. The nation’s capital could become the next jurisdiction to legalize sports betting. Congress isn’t giving up on trying to regulate online sales tax collections. How Vulnerable Is Your State to Post-'Wayfair’ Lawsuits? In a post-Wayfair world, a state that disobeys the recommendations of U.S. Supreme Court Justice Anthony Kennedy could find itself in the crosshairs of future litigation, according to several state tax lawyers. Property tax appeals by big-box retailers like Target and Kohl’s featuring the “dark-store loophole” are ramping up across Wisconsin, a survey of municipal assessment officials revealed. Wealthy New Yorkers who plan to flee to more tax-friendly states like Florida should expect to be audited, tax practitioners told Bloomberg Tax. State Tax Bogeyman Real or Overhyped After Online Tax Ruling? Collection deadlines are too soon. States are coming for back taxes. Congress should still intervene. States should simplify and be reasonable in changing online sales tax requirements after a pivotal U.S. Supreme Court victory. Otherwise, they risk congressional intervention, an e-commerce industry representative told Bloomberg Tax. The dust is beginning to settle after the U.S. Supreme Court threw out a major obstacle to states’ ability to tax online sales. “The Internet revolution has made Quill’s original error all the more egregious and harmful.” These are the words the U.S. Supreme Court used today in rejecting its 26-year-old standard that barred states from collecting sales tax from out-of-state vendors. Are High Court Tax Precedents Set in Stone After 25 Years? The U.S. Supreme Court is dealing with a monumental online sales tax case based on a decades-old precedent. Does this standard’s tenure make it more difficult to reverse? Has Latest New York ‘Tax Flight’ Begun? The “tax flight” that New York feared would result from the new federal tax law may have begun. Practitioners representing businesses are urging states to help their clients with guidance on the increasing complexities resulting from federal tax law changes. Seattle’s City Council unanimously passed an employee head count tax it revised to placate the business community and hometown company Amazon.com Inc. 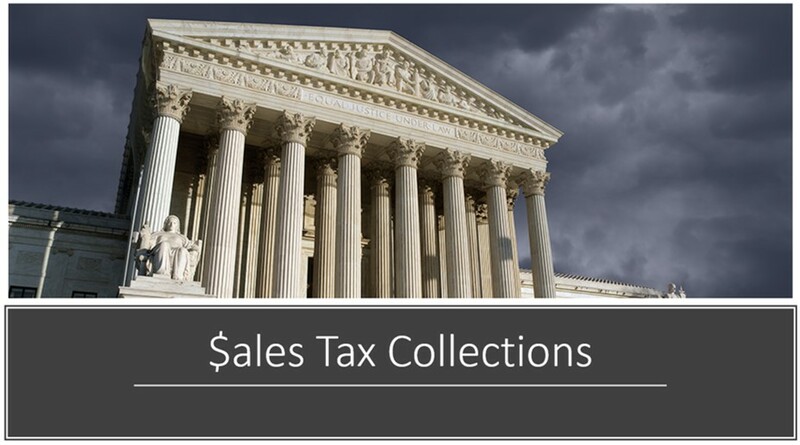 The pending digital sales tax case before the U.S. Supreme Court may turn out to be an example of being careful what you hope for, a Multistate Tax Commission attorney said. A tax software company will offer a new tool to assist Fulfillment by Amazon sellers with remote sales tax compliance. States could help preserve an approach to executive compensation popular with corporate shareholders after the new federal tax law eliminated its deductibility. South Dakota’s latest filing with the U.S. Supreme Court reiterated the state’s call for the justices to annul a much-maligned constraint on states’ taxing authority over online retailers. The future of marketplace-provider laws requiring Amazon-type platforms to collect tax on its third-party sales hinges on a monumental U.S. Supreme Court case, according to tax professionals. Alabama created another local property tax break for economic development as Gov. Kay Ivey (R) signed legislation Feb. 6 to help secure a recently announced Toyota/Mazda manufacturing plant. Six states that provide a deduction for federal taxes will look for ways to reduce an increased burden on taxpayers or to spend the extra loot stemming from the new federal tax law. Most states seeking to address the new federal partnership audit regime are in a holding pattern as they look for a model statute to provide guidance. Twenty cities across the U.S. and Canada remain contenders in the largest corporate jobs contest in modern times after an Amazon announcement cleared more than 200 cities from the list of potential sites for its second headquarters. State residents who rushed to prepay their 2018 property taxes before the end of the year deserve a deduction from the federal government, New York and New Jersey lawmakers told the IRS Jan. 9. Several states are already pushing plans to mitigate the negative impact taxpayers may feel from the federal tax law’s new limit on the deductibility of state and local taxes on federal returns. Will Goodlatte’s Retirement Lead to Federal Digital Tax Solution? It’s not certain that Rep. Bob Goodlatte’s (R-Va.) retirement will open the door to long-awaited federal legislation addressing states’ taxing authority over remote retailers. Will Multiple Briefs Sway Supreme Court to Take Digital Tax Case? The U.S. Supreme Court has dozens of state attorneys general and interest groups knocking on its door to take up the issue of states’ taxing authority over remote retailers. Federal lawmakers and groups representing state and local governments are pushing back against a key deduction contained in the House Republican tax reform plan released Nov. 2. Is the nationwide tidal wave of proposals for Amazon’s second headquarters an unprecedented incentive bonanza, a game-changer, or a PR-stunt precipitating a dozen more PR stunts? Treasury Department recommendations to simplify Obama-administration documentation requirements on intercompany lending may be good news and bad news for states deciding whether to conform. South Dakota’s Attorney General has filed the first of an expected wave of state petitions asking the U.S. Supreme Court to reconsider a 25-year-old opinion restricting states’ ability to tax remote retailers. States that want to follow retroactive provisions of whatever tax reform package comes from Congress this year probably wouldn’t worry about legal challenges. An influential tax group is asking the IRS to clarify how proposed regulations will implement certain aspects of the new federal partnership audit regime. The stiff competition among states to lure the multibillion-dollar film and television industry with lucrative tax credits may be going through a Darwinian period where only the strongest survive. Republicans’ failure to repeal the taxes underlying the Affordable Care Act makes eliminating the deduction for state and local taxes even more important to their tax reform plans. Federal lawmakers’ efforts to control states’ taxing authority over remote retailers is adding pressure as potential federal tax reform threatens to further deplete states’ coffers. Businesses that use trade shows to promote and sell their products would be well-advised to research the hosting state’s nexus rules if they hope to avoid long-term sales and use tax duties in that jurisdiction, tax practitioners told Bloomberg BNA. The IRS proposed rules to implement the new partnership audit regime after a regulatory freeze delayed release of the guidance for five months. Practitioners have rolled out draft model legislation that many hope will serve as the starting point for uniform state statutes addressing the new federal partnership audit regime. Lawmakers’ strategy to strike a decades-old, state-border restriction on taxing sales may prove fruitful before the U.S. Supreme Court, according to a leading state and local tax practitioner. State lawmakers and tax administrators are taking a closer look at enacting whistle-blower statutes as a strategy for prosecuting big-ticket incidents of tax fraud and scooping revenue into state coffers. Most modifications materializing from a potential federal tax reform package would throw states’ personal and corporate income tax structures up in the air, according to a leading tax professional. States and cities are fighting to preserve a deduction for taxes paid to local governments after the White House’s tax plan said it would jettison the popular tool. States and taxpayers aren’t waiting for a fix to the new federal partnership audit regime as they wade further into it to assess how the law will shape state tax systems. States’ collective agenda to rope in lost revenue from remote sales has yielded mixed results so far in 2017. Rick Noonan said he wanted to cry when he heard the American Health Care Act was getting closer to becoming law. Rise of Machines to Spark Rise of San Francisco Taxes? Whether San Francisco should adopt an automation tax to replace taxes lost to automated jobs is the subject of a hearing proposed by a supervisor backing CEO pay surcharges. The South Dakota Supreme Court could soon take up the state’s online sales tax that a lower court ruled unconstitutional. A light has gone out in the state and local tax world with the passing of one of its most preeminent and beloved practitioners. A controversial income tax break came back from the dead in the Kansas Legislature Feb. 22, but it appears to have little chance of ultimately surviving the current legislative session. State efforts to carve out business personal property from taxation are gaining steam amid continuing calls for states to remove business inputs from the sales tax base. States could run afoul of the Constitution by following a federal border-adjustments plan advocated by House Speaker Paul Ryan (R-Wisc.) to tax imports and exempt exports. Justice Antonin Scalia’s potential successor may be cut from a similar judicial cloth—but it remains to be seen how the Supreme Court nominee could shape state tax issues. The New Jersey Division of Taxation will create a way to eliminate the double taxation of global intangible low-taxed income for taxpayers who make a worldwide combined reporting election. States that have incorporated the international provisions of the federal Tax Cuts and Jobs Act into their tax base could be challenged in court, according to practitioners. A Louisiana House committee has advanced a bill requiring the Department of Revenue to refund taxes paid under an unconstitutional law, regardless of whether or not the taxes were paid under protest. A Massachusetts proposal for a millionaire’s tax has cleared its first major legislative hurdle. Pennsylvania’s marketplace facilitator law has generated almost $200 million in sales tax revenue during its first year of enactment, nearly three times more than the state’s initial revenue estimate. Connecticut taxpayers would pay a 2 percent surcharge on capital gains under a newly filed proposal in the House. Several nonprofit and religious organizations have asked the U.S. Supreme Court to resolve a split in the lower courts on whether a state constitutional provision can strike down tax credits for scholarship donations used at religious schools. Hawaii’s Legislature has approved a bill creating a new standard for corporate income tax nexus. The sunset dates for Maryland’s research and development and job creation tax credits have been extended under bills signed into law by Gov. Larry Hogan (R). New taxes on opioids and electronic cigarettes, sales and income tax rate reductions, and a waiver on sales tax collection requirements for some marketplace facilitators are among the 1,400 budget amendments filed by Massachusetts lawmakers.